With Brainshark On-Demand™, organizations can rapidly produce and deliver video marketing content that is impactful, measurable and accessible online or from mobile devices. 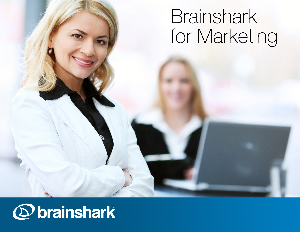 Marketing programs that incorporate Brainshark video presentations have greater audience reach and return on investment (ROI). Brainshark lets you easily transform static content, including PowerPoint® documents, into voice-enriched video presentations. Your video marketing presentations can then be shared privately or publicly with target audiences who can view your content anytime, anywhere. With SlideShark Team Edition, marketing can ensure sales reps and other customer-facing personnel are using the latest and greatest presentation material when conducting live meetings. And regardless of the solution being used, Brainshark's comprehensive reporting provides in-depth analytics to measure the effectiveness of your video marketing content and identify your most promising leads.